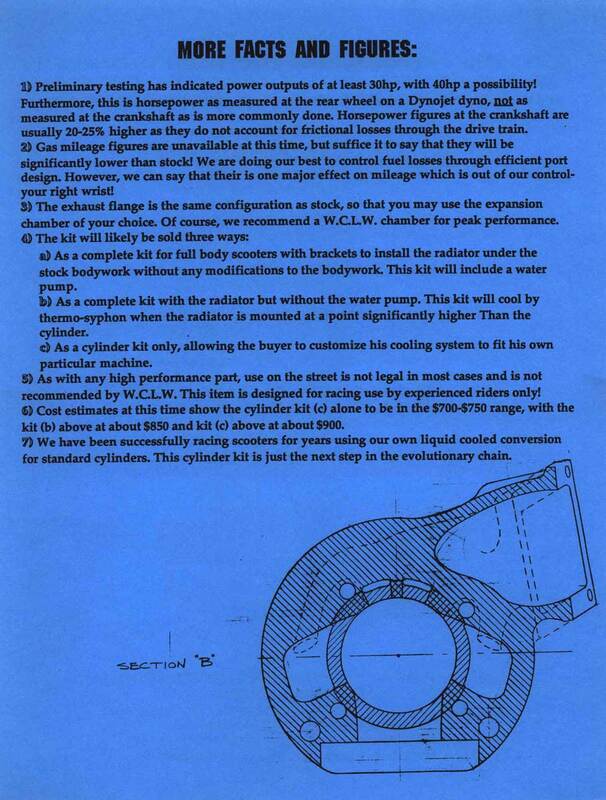 By 1993 the liquid cooled SX200 cylinder that I had raced since 1988 was at the end of its life. The cylinder wall was paper thin, and I had no faith in successfully sleeving it, particularly with all of the modifications I had made to convert it to liquid cooling and get 31hp out of it. "Elsie" was consistently one of the fastest bikes on the track during her heyday, and the potential for even more horsepower with added reliability will surely be an exciting prospect for Lambretta owners worldwide. 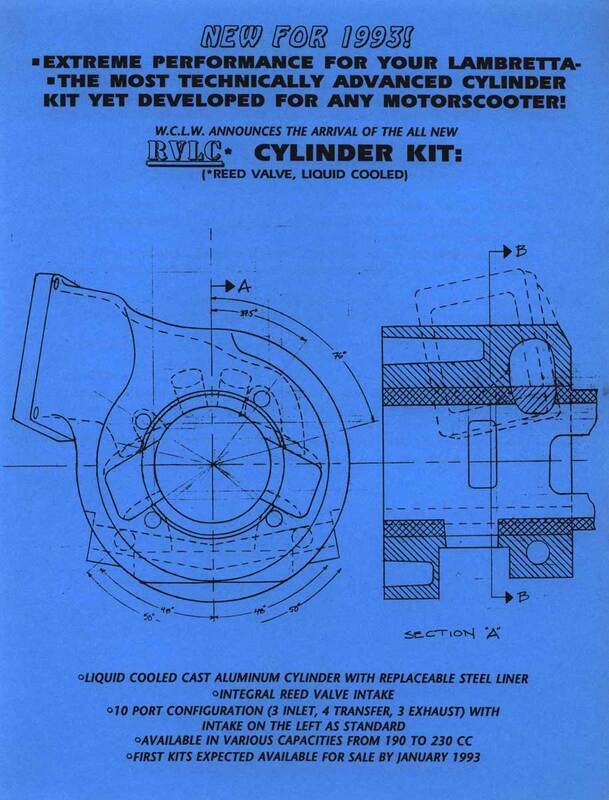 Back in the early '90s I used the remnants of Elsie's barrel to create a mockup of a new cast aluminum kit that I dubbed the 'RVLC' (Reed Valve, Liquid Cooled - quite original, I know...) I drew up some schematics and made some preliminary inquiries, but it never got off the ground due to the estimated production costs. To utilize the original oval shaped exhaust port flange and stud layout as per Innocenti's design. This offers exhaust builders the opportunity to create much freer flowing designs. Because the flange is positioned much further from the ground, longer radius curves can be used in those critical first few inches of pipe. Here is the original flyer from 1993 announcing my plans for the kit. Finally getting the RVLC into production is going to be one of my primary goals with Qustom.